Take advantage of a Virtual Private Network (VPN) to bypass geo-restrictions and improve your security at the same time. As one of the most recognized TV channels in Spain, Antena 3 is probably the most popular among Spanish natives. Offering a wide selection of great Spanish content, Antena 3 is the go-to spot for the best television shows and movies. The best place to watch Antena 3 programming is on the Atresmedia online platform. Through the company’s Atresplayer, users can watch content from all of its channels, including Neox, Nova, Atreseries, Mega, and Antena 3. In this guide, we’ll show you the best ways to access Spanish content from anywhere in the world, by taking advantage of a premium VPN service. Unfortunately, Atresmedia and Antena 3 are geo-restricted and only available to watch in Spain. Therefore, if you are out of the country, either temporarily or permanently, you won’t be able to access the website or its online content. However, by taking advantage of a VPN, you can bypass these geo-restrictions and watch Atresmedia and Antena 3 from anywhere in the world. While using a VPN, you can connect to one of your provider’s dedicated servers from around the globe. If you connect to a server in Spain, your device’s IP address will mimic the IP address of the server you are connected to. As a result, the website will think that you are in Spain, granting you access to its content. Due to their rise in popularity, there are many VPNs on the market which can make it difficult to find the best one to cater for your needs. Luckily, we have compiled a list of the top VPNs you can use to bypass Atresplayer geo-restrictions and watch your favorite Antena 3 content. ExpressVPN is a popular VPN service right around the world. With dedicated servers in Spain, you can easily overcome geo-restrictions and improve your security. As a result, no matter where you are in the world, you can access both Atresmedia and Antena 3 and stream as much content as you want. Furthermore, ExpressVPN offers incredible connection speeds and a no throttling policy, so you won’t have to constantly deal with interruptions. Allowing a total of 3 simultaneous device connections, ExpressVPN is great for families all looking to access content at the same time. It isn’t the cheapest VPN, but is certainly worth it to access Atresmedia and Antena 3 content safely and securely. 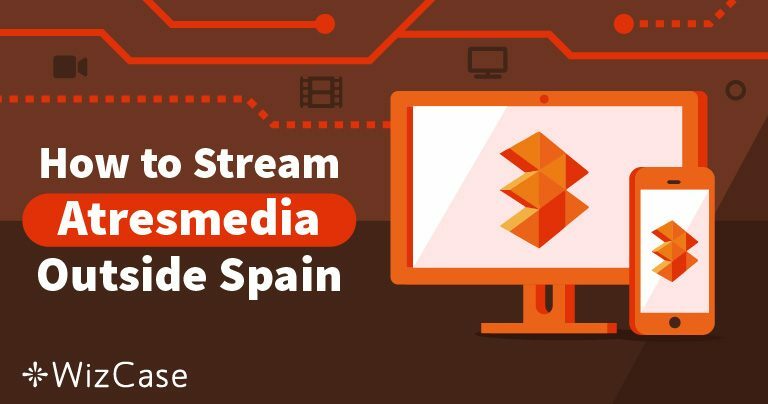 CyberGhost VPN offers 90 servers in Spain alone, meaning that you can connect and stream without any problems at all. Additionally, there is a dedicated streaming feature on the CyberGhost app that allows you to optimize your VPN specifically for streaming. You can choose from their list of popular streaming services as well as add your own. To ensure a fast, uninterrupted streaming experience, enable CyberGhost’s extra speed feature which boosts performance. Over long and short connections, CyberGhost’s performance isn’t great, but with the extra speed feature, it’s up there as one of the best. Furthermore, it allows up to 5 devices to be connected simultaneously and is the cheapest of the three VPNs selected. On the downside, CyberGhost is known to suffer from glitches associated with the user interface. For example, the client window can’t be moved and often randomly clicks out, and the country list isn’t in alphabetical order. However, these are minor issues that can easily be ignored. The primary reason NordVPN makes this list is due to its Smart Play Technology. Simply put, this means their servers are optimized around the world for streaming, so you can avoid interruptions when watching your favorite TV shows and movies on Atresmedia and Antena 3. With Smart Play Technology, speeds over long and short distances are good. This is perfect because it allows you to connect to their Spanish server, bypass geo-restrictions, and stream without buffering. It will feel like you are in Spain. 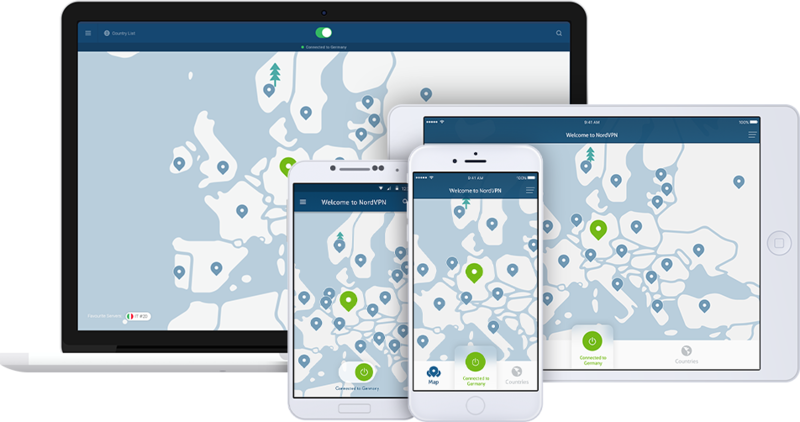 NordVPN offers a vast server count, with 4,883 servers spanning 62 countries. This means you can not only access your favorite Spanish TV shows and movies but content from all around the world. Also, you can do this while maintaining a completely safe browsing experience with their AES 256-bit encryption. Unfortunately, there is no free trial, but there is a 30-day money-back guarantee if you are not satisfied with the service. Regardless of what provider you choose, utilizing a VPN will allow you to access Atresmedia and Antena 3 content outside of Spain while maintaining a safe and private browsing experience. The VPNs on our list have proven their worth and will provide you with the best services possible. 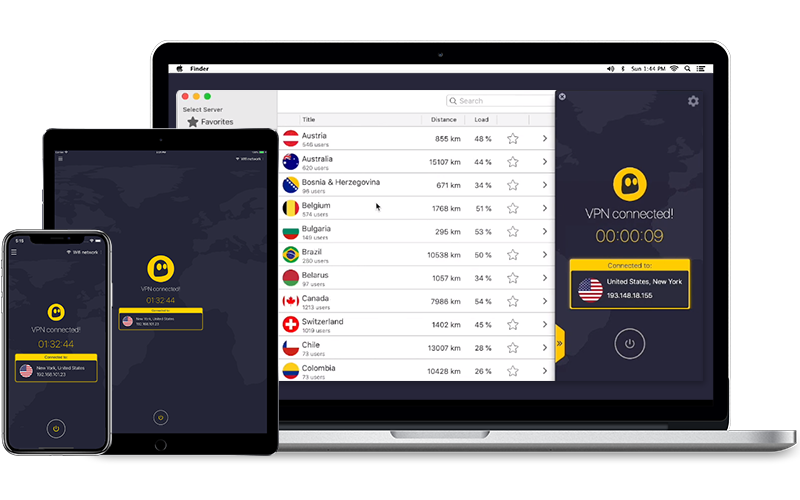 Not only will a VPN allow you to bypass geo-restrictions but it will also improve your security at the same time.